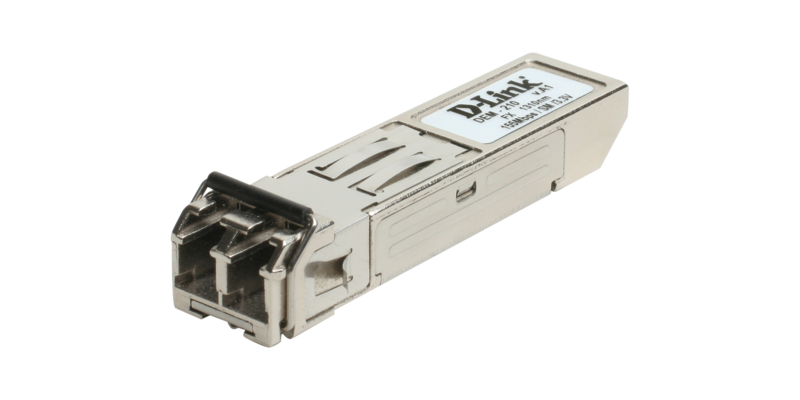 The transceiver connects with certain specific supported D-Link switches. It is not for use in the Gigabit SFP fiber-optic ports found in other switches. The current list of D-Link switches that support the new module includes the following: DES-1228, DES-1228P, DES-1252, DGS-3612G. This product was phased out on: 25.11.2016.